The Hawthorn is a spacious c.1,237 sq. ft. semi-detached family home. It offers generous ground floor living accommodation with living room, a kitchen/diner which is ideal for entertaining and option for a utility room. Upstairs you have the luxury of four bedrooms as well as en suite master bedroom and four piece bathroom suite. 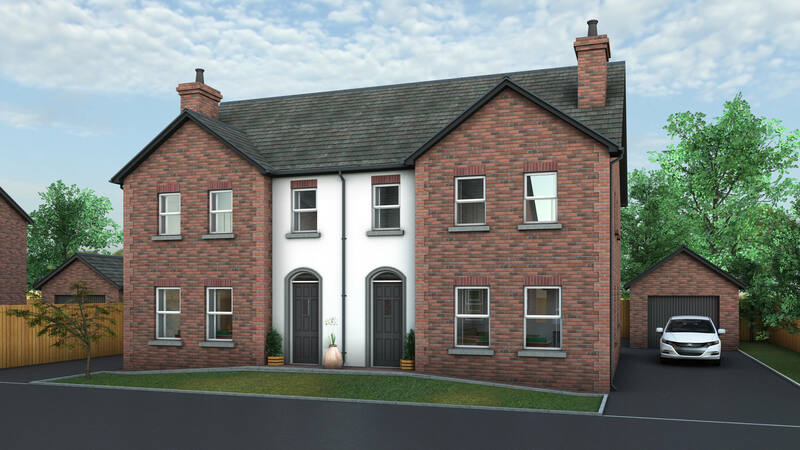 Starting at £149,950 this house type will make an excellent family home. Kitchen/Dining 4.8m x 4m 15' 9" x 13' 1"
Lounge 4.7m x 3.8m 15' 5" x 13' 1"
Utility 2m x 2.2m 7'2" x 6' 7"
WC 2.2m x 0.9m 7'2" x 2' 11"
Bedroom 1 4m x 3.2m 13'1" x 10' 5"
En Suite 2.35m x 0.9m 7' 9" x 2' 11"
Bedroom 2 3.45m x 3m 11' 4" x 9' 10"
Bedroom 3 3m x 2.7m 9' 10" x 8' 10"
Bedroom 4 3.7m x 2.2m 12' 3" x 7' 2"
Bathroom 2.6m x 2.2m 8' 8" x 7' 3"